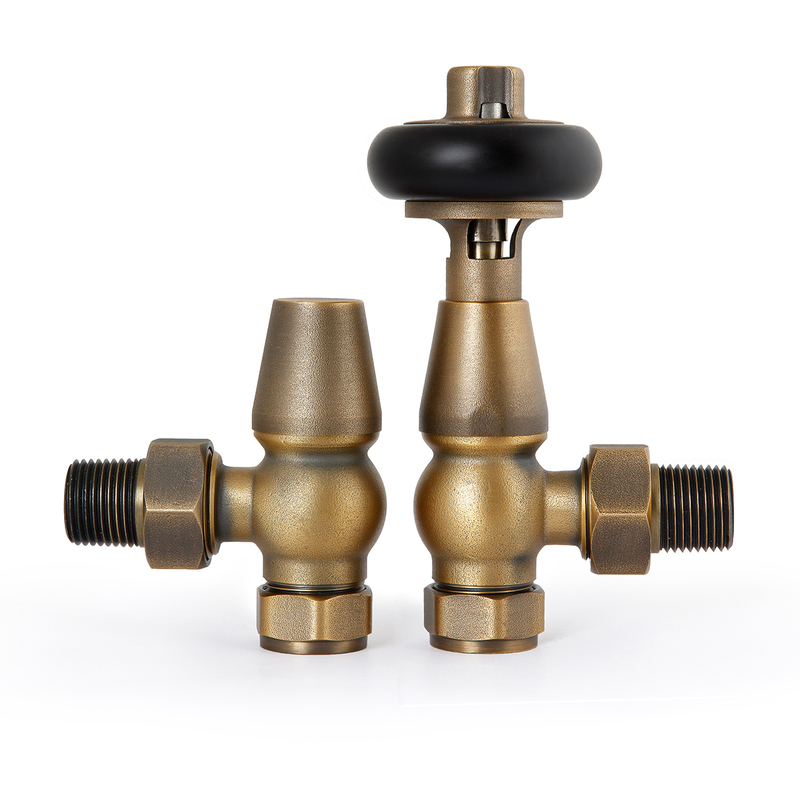 Classic valve pair finished in Natural Brass. 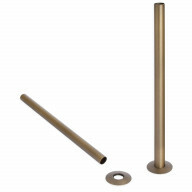 Solid hardwood handle, unlacquered brass body.Thermostatic operation reduces energy use. Our favourite style of radiator valve. Stylish and sleek, and perfect with all of our cast iron radiators. This thermostatic radiator valve is finished in natural brass for a rustic look, with matching shrouds and base plates available separately. 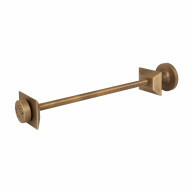 Try pairing valves in Natural Brass with radiators painted in farmhouse hues like French Grey or Old White.